Bruno Coelho has won the opening A-Main at Round 2 of the Yokomo Euro Touring Series in Germany. The Xray driver saw off the challenge of Freddy Sudhoff, the Awesomatix driver mounting intense pressure on the Top Qualifier in the early part of the race. While Coelho would eke out a small gap towards the end of the race, Sudhoff was never more than 6/10ths behind. While the Top 2 pulled clear of the 11 car field, Mugen’s Viljami Kutvonen secured the bump up from the B-Main, it was to be Ronald Volker who completed the Top 3. 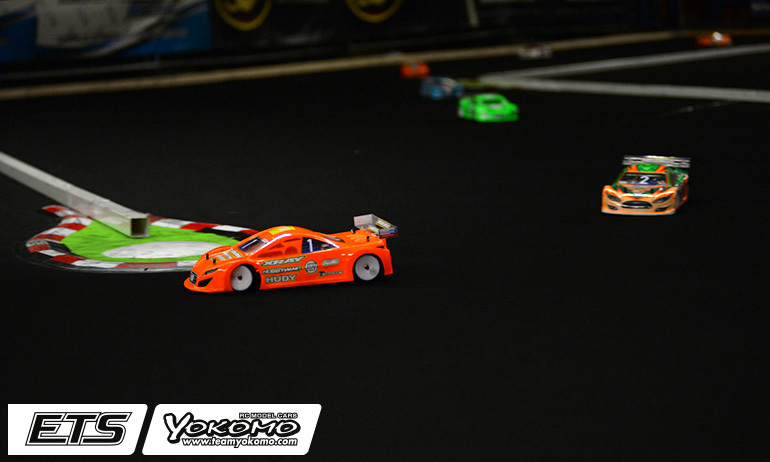 An early mistake from Alexander Hagberg promoted the Yokomo driver to third which he would maintain until the finish. Running fifth for most of the race behind Yannic Prumper following his roll, Hagberg would come together with Marc Rheinard in the final sprint to the loop and drop to 9th, Rheinard finishing 10th.